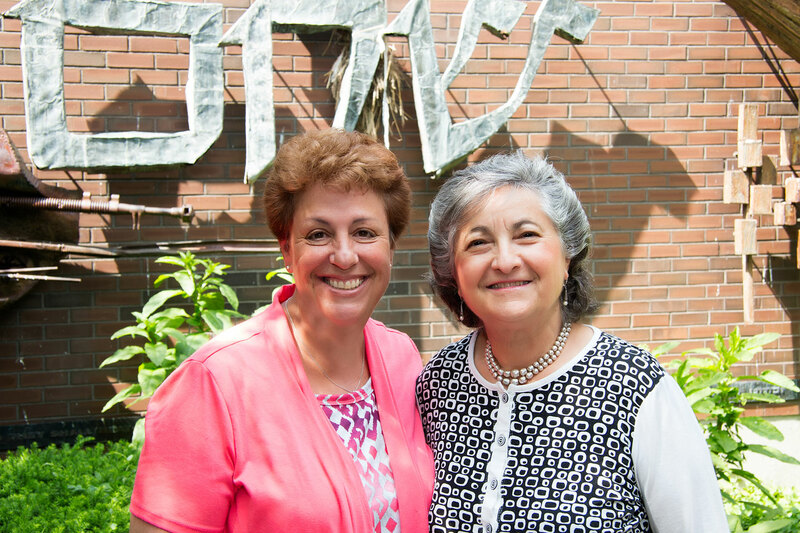 Each year, the Detroit Federation partners with Jewish educational institutions throughout the community to support and honor the best of the best – two outstanding teachers making an impact in their schools and in the lives of their students. 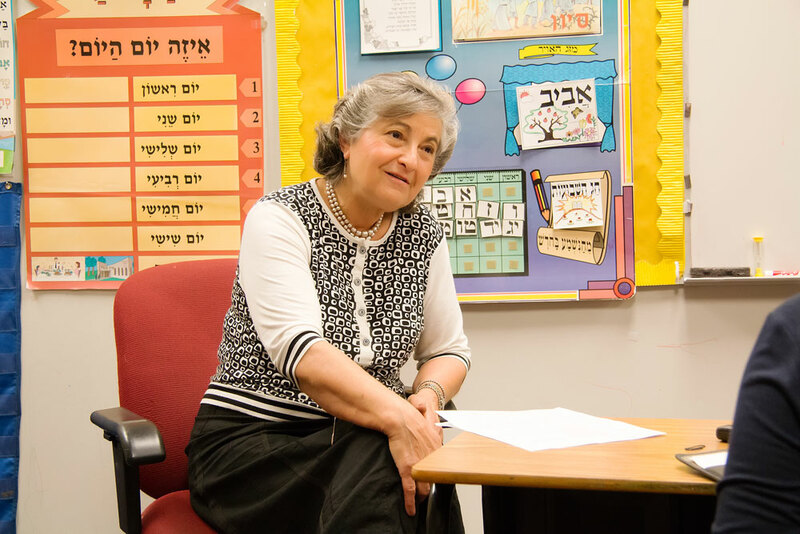 To parents, colleagues and generations of students in Jewish Detroit, it comes as no surprise that “Morah Channa” – as her students affectionately call Mrs. Anna Greenfield – is the 2015 recipient of the prestigious Grinspoon Award for Excellence in Jewish Education for her 34-year tenure at Akiva Hebrew Day School, where she has taught first and second grade Hebrew and Judaics. Sharing accolades with Channa, “Morah O” – Mrs. Sharon Ozrovitz — is this year’s recipient of the Emery (z’l) & Diane Klein Award for Excellence in Jewish Education, in recognition of her extraordinary skills with little ones at Akiva’s Early Childhood Center in the Nursery and 2-Year-Old Program. With just a week to the conclusion of another memorable school year at Akiva, and in anticipation of a well-deserved summer break, we catch Channa and Sharon – both still smiling – at the end of their busy day in the classroom. Akiva’s Channa Greenfield, recipient of the 2015 Grinspoon Award for Excellence in Jewish Education. myJewishDetroit: Channa, how would you describe your teaching style? C: Nurturing. Caring. Supportive. Creative! myJD: Where did you grow up and go to school? I was born in a small town in Czechoslovakia in 1944. My family miraculously survived the Holocaust. In 1949, we immigrated to Israel. We were settled by the J.N.F. on a small moshav (farm) near Haifa. In 1963, I came to the United States and finished my education in Detroit, earning my Bachelor’s degree within two years at the Midrasha for Hebrew teachers. I have one brother still in Israel, and the other in Ithaca. My husband and I have raised our two sons in Southfield – one now lives in Boca Raton, Florida, and the other is still in Michigan. myJD: When did you know you wanted to be a teacher? I always loved children. In the moshav community, I was surrounded by children, always loved playing with the children. I knew from the start, that I always wanted to be with little children, so that’s when I decided to go into teaching. myJD: What do you love about teaching at Akiva? So many things! For me, Akiva always supported me in whatever I wanted to do. It allowed me to grow, be creative. Every year Akiva sponsors classes and workshops, encouraging us to continue our education and stay up to date. The other thing I love is that Akiva is part of my community. I belong to the Young Israel community and many of the students in school are members of my synagogue. At this point, what I really love is that I’m teaching the second generation of my students! It’s amazing. It’s like being a grandmother. I know my students’ entire families. We go to the same shul, the same social functions. When people ask how the children are doing, I ask which ones, my own children or my school children. myJD: What’s the best piece of advice you would give to a new teacher? The most important thing: never give up on any student. Every student can succeed. Just let children know that you trust them, that you have faith in them. Be very caring. Be very nurturing. And listen to your students. They come up with phenomenal answers. And smile! You have to smile. Compliment the good things that you see that they are doing. Because it means a lot. Let them be your star. myJD: Where do you find inspiration? In the children! In seeing them grow and mature. And seeing how students use what you teach them. We just celebrated our high school graduation — and with the exception of two students in class, all of them started right here, and now they’re such menschen. It’s an incredible feeling to know that we put down the first brick—but then they built on it a whole house. Family time. Spending more time with my husband. I’ll attend a CAJE Conference, and my big plan this summer is to use the stipend from the Grinspoon Award to improve my computer skills. 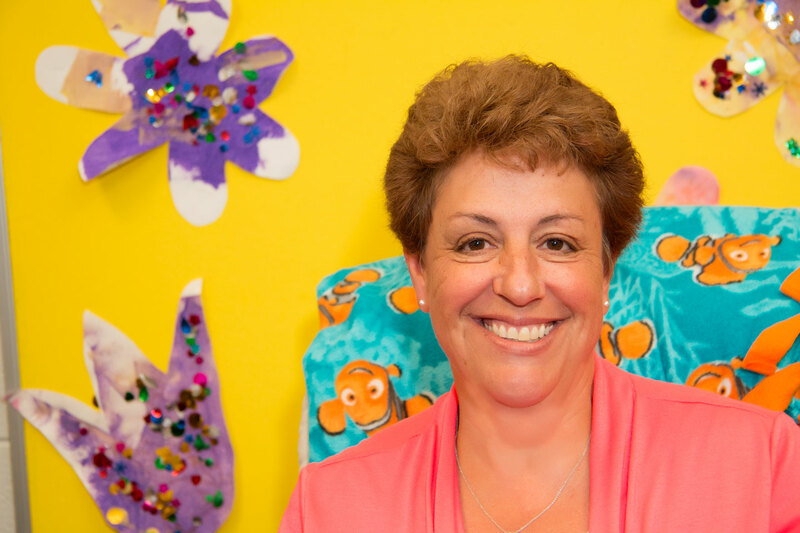 Akiva’s early childhood educator, Sharon Ozrovitz, recipient of the 2015 Emery (z’l) and Diane Klein Award for Excellence in Jewish Education. myJD: Sharon, how would you describe your teaching style? S: The Reggio Emilia Approach (learning through play). Messy! Fun. Exploratory. Hands-on. I grew up in Farmington Hills, got married young, moved into Oak Park where we’ve lived for 30 years and raised our three children – now 28, 26 and 21. I’ve been an early childhood educator for 20 years, taught at Temple Emanu-El for 15 years before coming to Akiva. When my children were little, I ran a licensed day care out of my home, and then when my youngest was old enough to go off to school, I started teaching a Head Start program in the public school system. From there it was Temple Emanu-El, and now here. Forever ago! I started with babysitting; straight from there I worked at Tamarack for four summers as a camp counselor. What I love most about teaching in general is seeing my students grow . . . those magic moments of transition, when you can see that light bulb go on in a child’s head. I think it’s a wonderful thing. Here at Akiva, they’ve really welcomed me, taken me in under their wings. Not being of the Orthodox community myself, I’m learning new things all the time, working with the teachers here. Never stop learning. Never close your mind to learning, no matter how old you are. Children teach you things all the time, if you just listen to them. If you just sit and listen, you can learn all about the toddler mind. All over! When I was younger, I found inspiration from my parents. 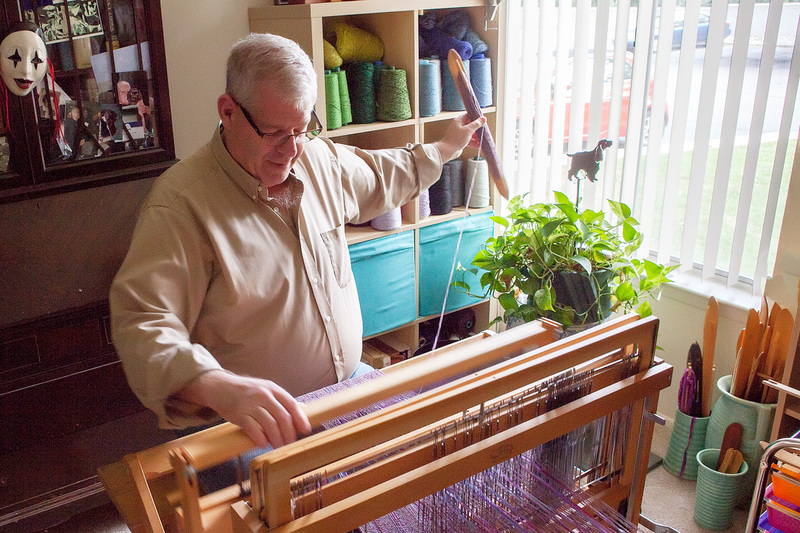 I find inspiration from my husband and my children. They’ll be talking about something, and I’ll find “wow” I can use that in my classroom with my students! I’m the one they call a “messy teacher.” To me, the classroom is all about the play – and learning through play. I love painting, and encourage children to “hug” colors, mix paint with their hands, and if they like the texture of it and start painting their arms, that’s all the better. It’s all about the experience. Our summers always have been for outdoor adventure. We love camping, hiking, white-water rafting. This year my husband and I have plans to go to zip-lining in Ohio. When people ask me when I plan to retire and relax, I tell them that summer is my retirement. Come September, I need to get back to school. My children keep me young. Building Bridges, Bringing Students Together in the City.